Who says you have to wear white on your wedding day? 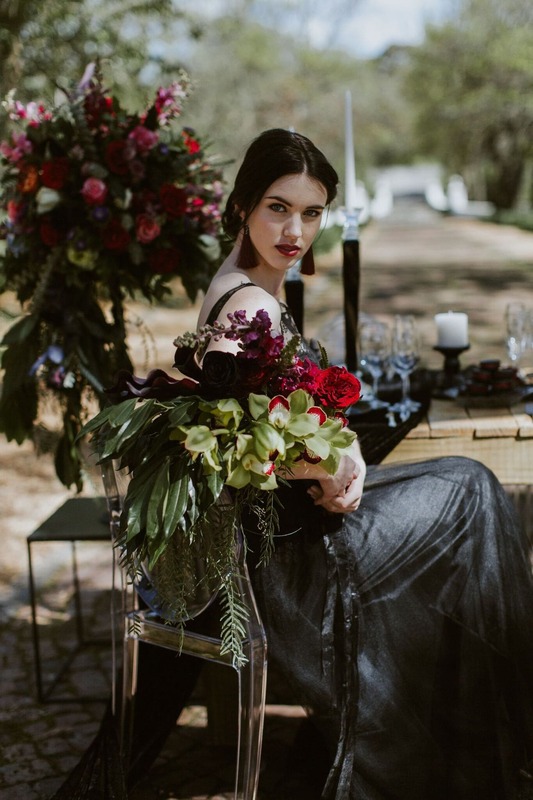 With today being the spookiest day of the year, I’m taking the opportunity to showcase some seriously gorgeous black gowns that are sure to please an edgy or alternative bride. But even if Gothic isn’t your vibe, you might still want to consider a black gown. After all, the designer credited with bringing black to the bridal runway is none other than Queen Vera of Wang, and celebrities including Shenae Grimes, Ellen Pompeo, and Avril Lavigne have all rocked black wedding dresses on their big day. The key is to keep hair and makeup very soft and romantic, and choose gowns with beautiful textural detail, so the look is romantic and ethereal instead of harsh and Halloweeny. There are some absolutely BEAUTIFUL black (and other alt-coloured) gowns on Etsy, where I find designers are often both fashion-forward and accessible price-wise. I’ve rounded up 15 of the most gorgeous I could find! *Links in bold denote affiliate links. The cost to you remains the same, but SBB may receive commission for any sales made. Happy Halloween! You know, every year at this time, I choose to feature at least one shoot that’s darker than my usual fare – a little bit kookier and spookier, although most haven’t actually been Halloween themed as such. But I don’t think there’s ever been a time where this kind of dark and moody inspiration is also super on-trend. Bold florals popping against black backgrounds and rich jewel toned palettes are definitely the look du jour as we head into the new season, and while this bold, glamorous look isn’t every bride’s cup of tea, it really makes for a stylish and refreshing visual change that is sure to get your guests talking! 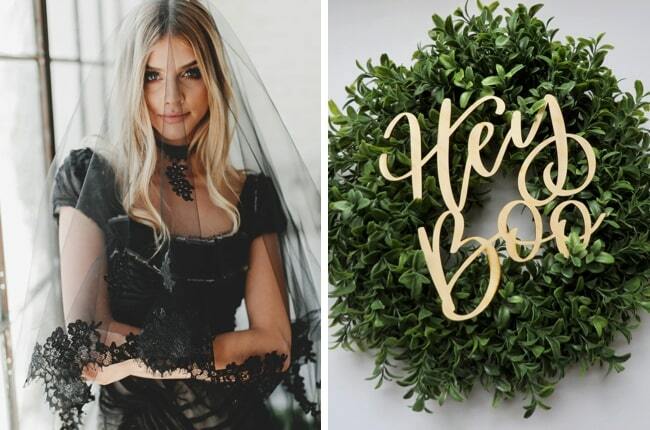 So while this might be the feast of All Hallows Eve, I think this gorgeous black wedding inspiration from a local team including A Dream Come True Events, Blue Olive Events, and Anna Pepper Photography will be inspiring you SouthBound brides long past the holiday. Let’s get moody! 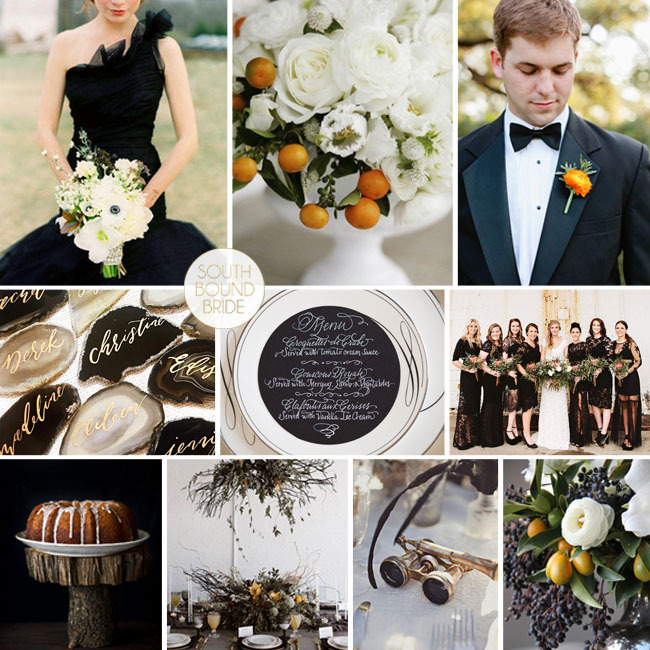 It’s Halloween week, and so I thought I would kick things off by revisiting this Halloween-themed wedding inspiration board which has always been a bit of a fave for me. 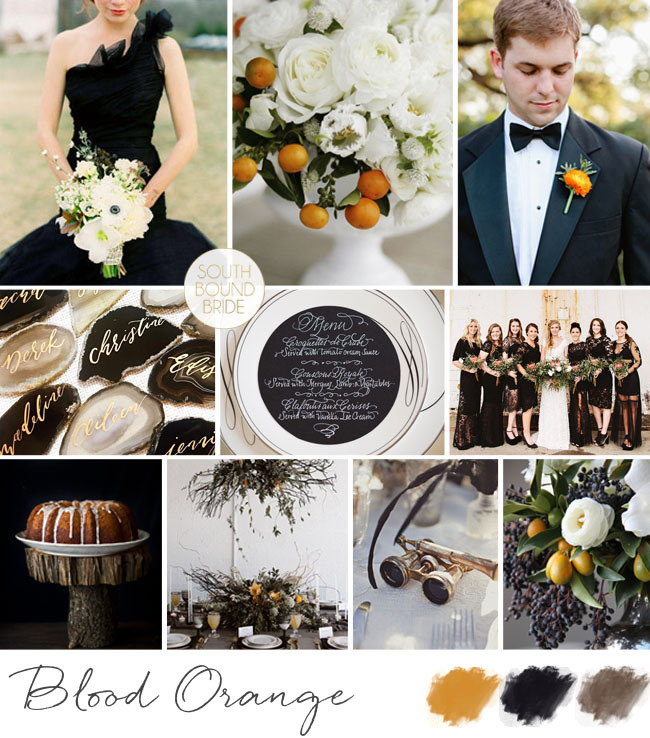 We all know that orange and black are the classic Halloween colours, which frankly, can make them a little tacky for a wedding. That is, until you swap out cheesy store-bought decorations for beautiful organic decor in the form of citrus, which really pops so beautifully against the black! 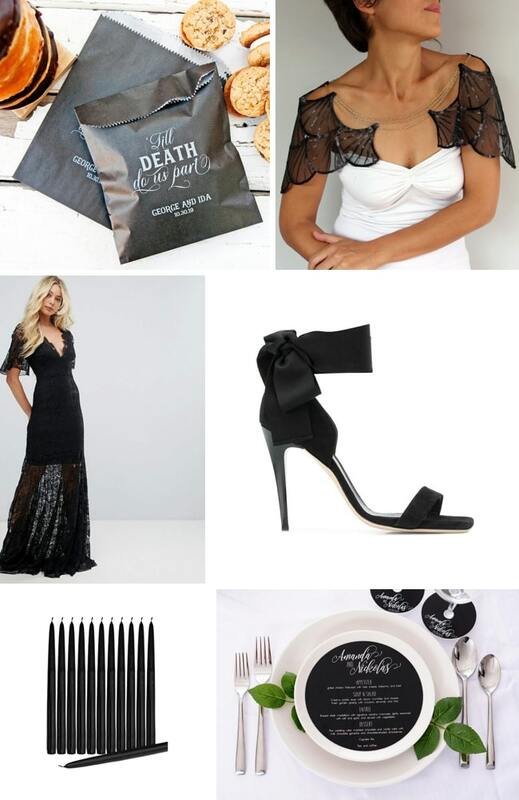 The overall look is elegant and black tie (and ever so slightly vintagey), but also a liiiittle bit dark and spooky for those who want a bit of Gothic charm. Don’t you love it? Dramatic veils are a huge trend for 2019! And these days it’s not just length that makes a statement (although we do LOVE a cathedral veil!) – the new statement bridal veils are all about embroidery, embellishment, and colour! Whether you choose flowers, stars, or pearls; flecks of copper, silver, or gold foil; a soft wash of blush, blue, or grey; or unique lace edging, each one of these beautiful wedding veils will accessorise the right gown to perfection. Let’s un-veil (haha) 20 of our favourites! I’m dreaming of springtime blossoms and cool breezes thanks to this gorgeous inspiration! I love the fusion of styles in this shoot – a little bit woodsy and bohemian, but at the same time, clean and contemporary. 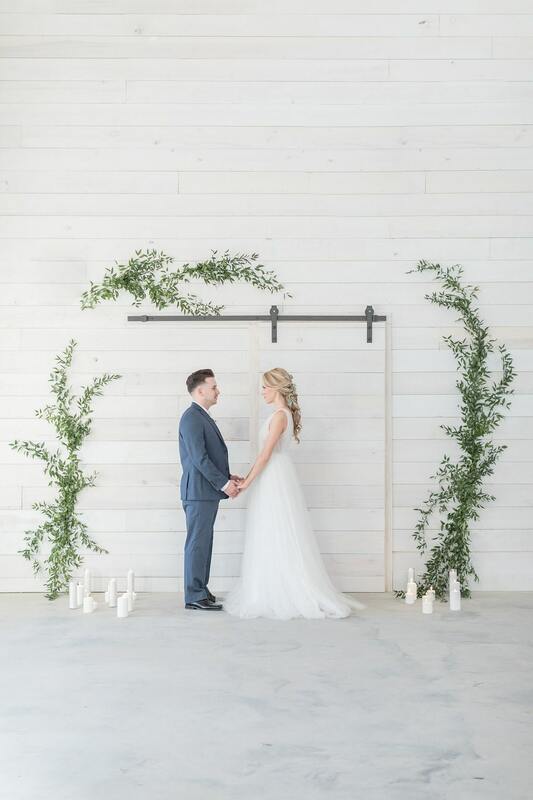 The editorial (created by a talented team led by Wren Photography and Juniper & Lace Events) includes includes a beautiful array of textures: wood, macrame, copper, greenery, watercolour. So romantic! The palette keeps things fresh – a stunning combo of deep greens, bright white, and warm copper, that perfectly shows off the natural scenery of Michigan, US, where it takes place. There’s so many details, but no surprise, my fave is the donut wall – these treats are as pretty and on-theme as the flavours are mouth-watering! I also love the idea of a clear marquee and draping to go with the rest of the decor, as it adds an elegant contrast to the more earthy rustic styling of the tablescape. 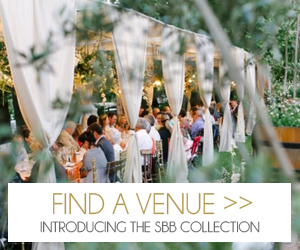 From ceremony styling to florals to food, there’s so much here to inspire a SouthBound bride! When Claire Thomson sends us something pretty, we know we’re going to love it, and this gorgeous forest wedding is no exception! 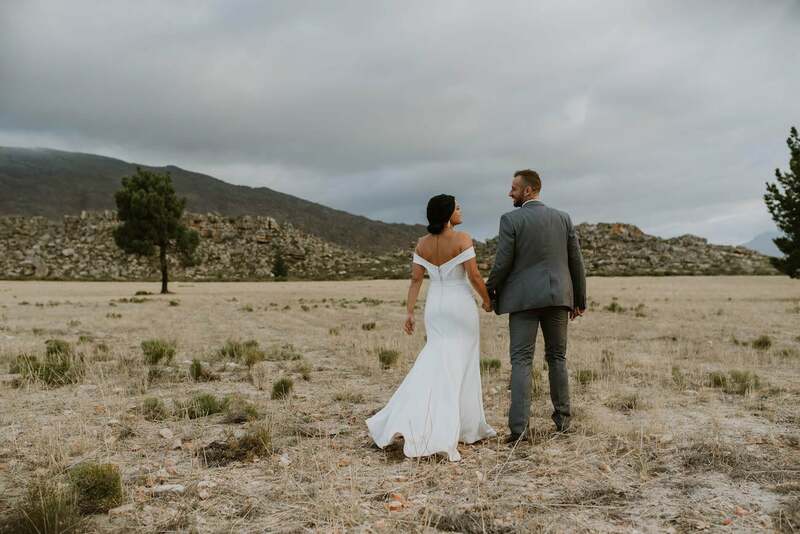 Carla and Kenné’s forest fete took place in the beautiful Matroosberg Nature Reserve – the perfect choice for a pair who got engaged on a hiking trail! The decor was simple and elegant, a pairing of deep emerald green foliage with touches of gold, soft linens, and patterned glass that was perfectly complemented by the bride’s ultra chic off-shoulder gown and birdcage veil, and the groom’s dapper suit. 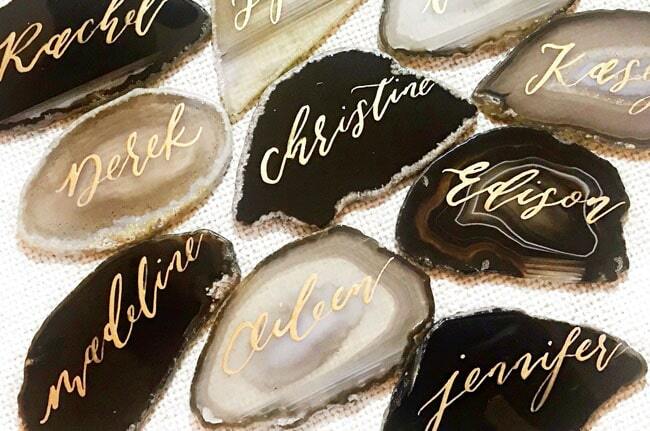 A designer herself, the bride created all the stationery – in fact the whole day was a DIY collaboration between the bride and groom, their family, and friends. 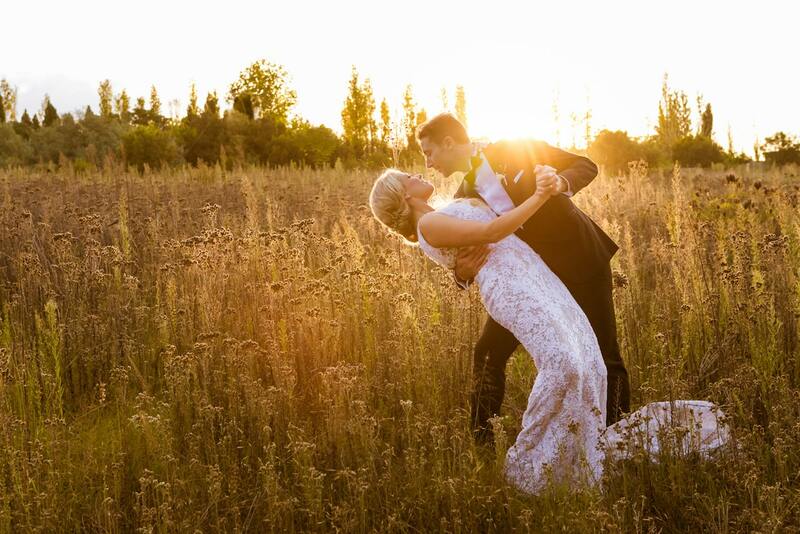 Maybe it’s this element of community, maybe it’s the gorgeous backdrop, and maybe it’s just the love and laughter between the couple that make it all so special – I’m going to guess it’s all three, with a little help from Claire’s gorgeous pics! You all know I am a FOOL for editorials that take their inspiration from our beautiful, unique country, South Africa. 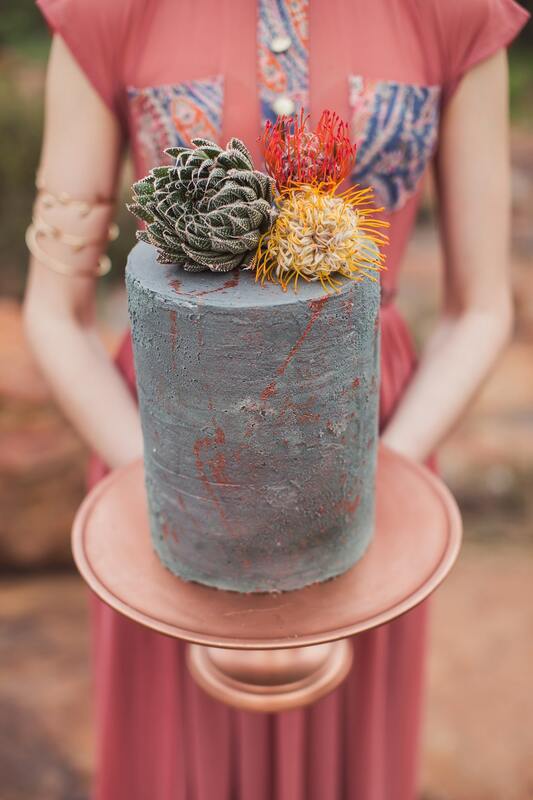 So you can imagine how excited I have been to share this bold, earthy shoot from a local creative team headed up by Elri Pollard of Because Life Photography, and Impressionant Events. The palette is all burnt sienna and concrete, copper, aloe and bright strelizia orange. And the details are wild and fashion forward, but at the same time super rustic and grounded. I especially love the use of texture – leather, concrete, wood, and sand – as well as the incorporation of some very South African menu items! We’re starting our week off BEAUTIFUL with today’s styled shoot, an elegant fusion of minimalist and organic style that I am absolutely in love with! It comes courtesy of Carolina Goodwin Photography and her talented team, and features an understated greenery arch, stylish florals, a gorgeously classic cake, and the most amazing stationery! For the tables, a soft white silk linen runner laid with simple greenery interspersed with votives, a napkin tied with more greenery, and a copper calligraphy scroll placecard. Perfection! That’s the thing about this kind of luxe minimalism – the details aren’t many, but every single one of them is carefully chosen and placed and the end result is harmonious and delightful to the eye! Super inspiring. To create it, Carolina says, she “wanted to evoke the spirit of the outdoors by using loose, natural floral arrangements. The movement conveys a sense that they are growing! The use of white negative space highlighted with just simple greenery gives a very earthy and organic feeling that brings elegance with minimal adornment.” Let’s dive in, shall we? ‘Your day, your way’ has pretty much always been our mantra around here, because if a wedding doesn’t reflect the two people it celebrates, what will? Today’s special couple, Francois and Taryn, totally got that. They dreamed up a day that perfectly encapsulated their chic, modern style with its clean monochrome palette (along with touches of greenery and copper, so pretty! ), geometric details, and general feeling of light and space (thanks in no small part to their fab venue, White Light). But while the look is very contemporary and stylish, the vibe is full of fun! From the skateboard-riding groom to the bride positively overflowing with happiness, the talented Daniel West has captured a real spirit of joie de vivre in these images, and I LOVE it. Oh garden weddings, you have my heart! Today’s styled shoot has such a lovely, genteel feel about it – a delicate take on garden wedding style in the most delicious shades of lemon, cream and pale blue (a palette that on its own made me fall right in love!). 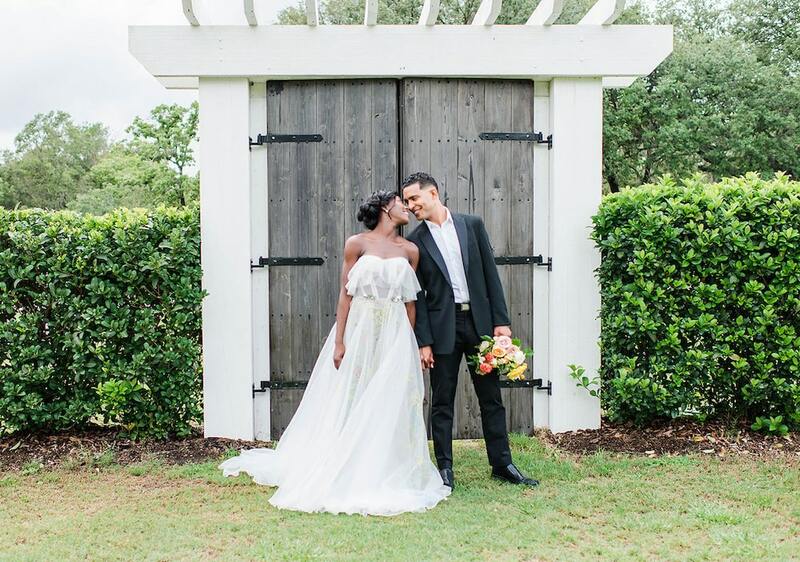 Shot at the Bramble Tree Estate in Florida, USA, the creative team brought their vision to life with romantic touches like soft linens, vintage plates, gorgeous calligraphy invitations, and a wow-factor gown that is just perfect for the pretty summer vibe! With the bride sporting a beautifully whimsical updo, and the groom handsome but laid back in an open shirt and suit, this is my kind of warm weather wedding style – just add lemonade! 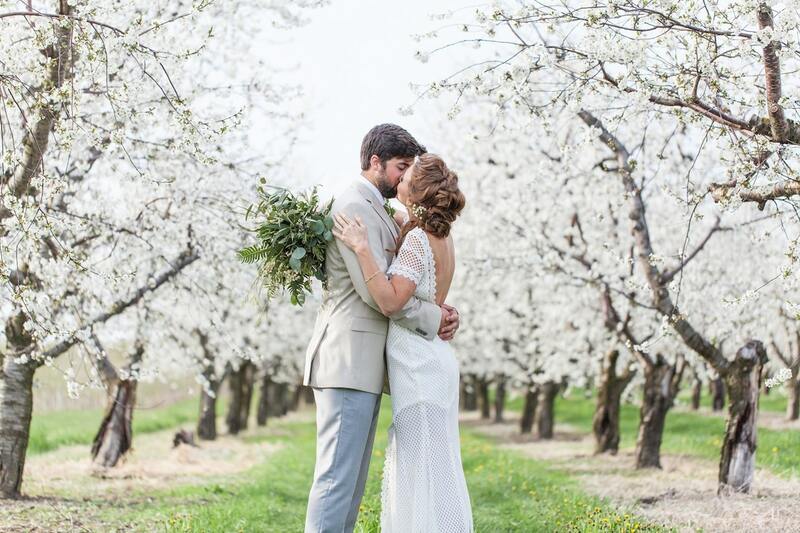 Thanks to photographer Amy Saavedra and her team of talents for sharing this prettiness with us!